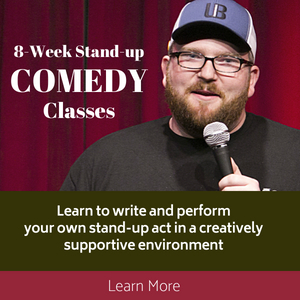 Comedian Lessons | Not Getting Laughs? Slow Down! 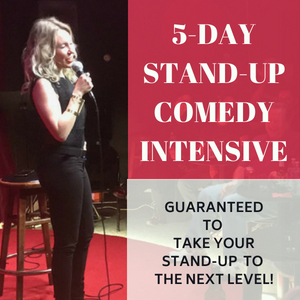 In this mini module of ‘Comedian Lessons,’ I’m simply going to lay out a simple technique that a lot of comediansâ€”including myselfâ€”forget to do. Have you ever been performing a gig and you’re just not getting the laughs you expect? I mean you’ve done this material before and it’s gotten great response, but tonight, nothing! Luke warm at best. There are probably at least a dozen reasons the audience isn’t giving you the love you expect. 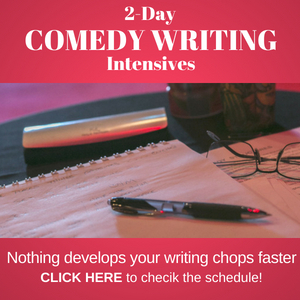 But in this comedian lesson we are going to focus on slowing down our pace. I was performing at a Jewish Temple fundraiser at Beverly Hills High School years ago where a ton of top comedians were performing. 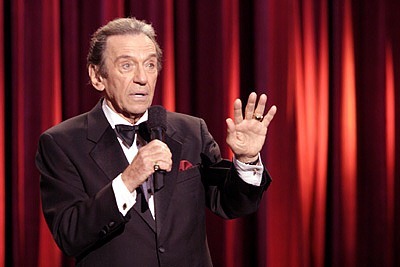 I mean Norm Crosby was there Max Alexander, Danny Ganz (rated best Las Vegas Act 5 years straight:but now dead:). It was a 2-night gig and I was the 3rd comedian on the bill. Most of the audience was fairly well-to-do and had left middle age in the dust in like, 1980. To say they were old would be giving them a compliment. They were still meandering into the auditorium after the second comedian had gotten on stage. The next night I stepped on stage. I started fast again (I was young and hard-headed), then I glanced to the wings and Norm Crosby was standing there mouthing “slow down!” I don’t know if you’ve done this, but when you’re already moving at a fast pace, it’s tough to slow down. I looked at Norm again and he sort of took an exaggerated deep breathâ€”I figured that he was either coaching me to breathe or he was so exasperated with me that he was finding it hard to breathe! Almost immediately, after the breath, the jokes started to get really solid laughs and I finished strong with some great applause. Afterward I received a ton of compliments from members of the audience. It was a simple matter of slowing down, which was counter to my instinct, which was telling me to give it to them hard and fast. It gives the audience a chance to hear and understand you. It gives the audience time to properly process your set up. So your punchline will be effective. 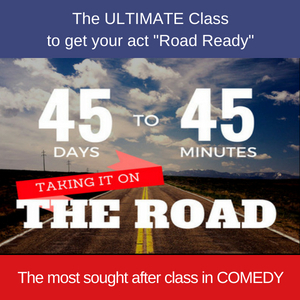 Going fast forces the audience to think too quickly and most audiences are there to relax. If they feel they are working too hard to understand you then you are going to lose them very quickly. One mentor once said to me: Treat your audience like fourth graders, but in a good way. Slow down and make sure you see that they are getting what you’re saying. Then they will follow you to the punch and give you a solid laugh. 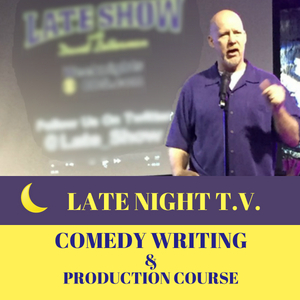 2 comments to Comedian Lessons | Not Getting Laughs? Slow Down! Like Reverend Jim Ignitowski at his written Driving test! great information Jerry, thanks a ton! 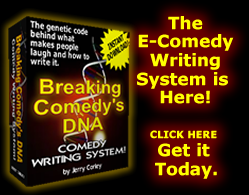 « Johnny Carson was Wrong!